We all want to stand out, men and women alike, one way or another. Who wouldn’t want to come fashionably late and be the crowd stopper? In the name of fashion, people go great lengths to look fashion-forward. Nowadays, there seems to be an obsession with hair, more so than ever before. Men and women have become more bold, courageous and zany when it comes to their hair style choices. These trends pick up very quickly with the help of social media and the internet. These hairstyles are sure to catch everyone’s attention. If you’re one of these courageous people willing to try new things, you can give these 10 weird and shocking hair trends a try! Man Buns are the hottest thing now. But not all men could don man buns, whether they aren’t allowed in their workplace or they simply couldn’t grow their hair long enough. 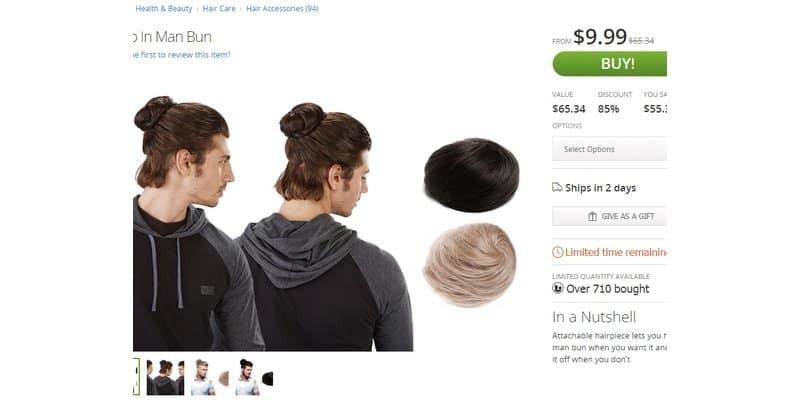 Thankfully, Groupon is selling clip-on man buns for only $9.99 — and they are selling like hotcakes right now! It’s basically the Opposite of the color ombre we know now — except that rainbow dyes are applied to the roots only instead of the tips of the hair. These hairstyles are what Tumblr dreams are made of. 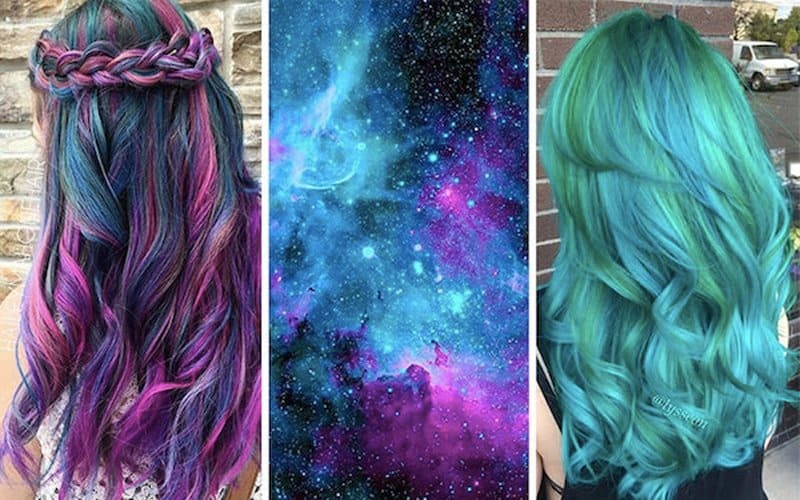 Galaxy hair are made of absurdly colored hair to the hues of galaxy, stars and planets. We’ve seen this trend explode all over the internet, particularly in Pinterest and Instagram. Not only is the hairstyle difficult, but the upkeep requires a lot of involvement and hard work to make it last. The millennials seem very obsessed with color dyes — this one, in particular, gives you the silver grey hair look, aptly called as the ‘granny hair trend’. Men and women sport the silver-hair look, despite being only in their 20s! The hair tattoo trend started when Kylie Jenner was seen sporting a hair tattoo last month — and everyone wanted to join in the bandwagon immediately. 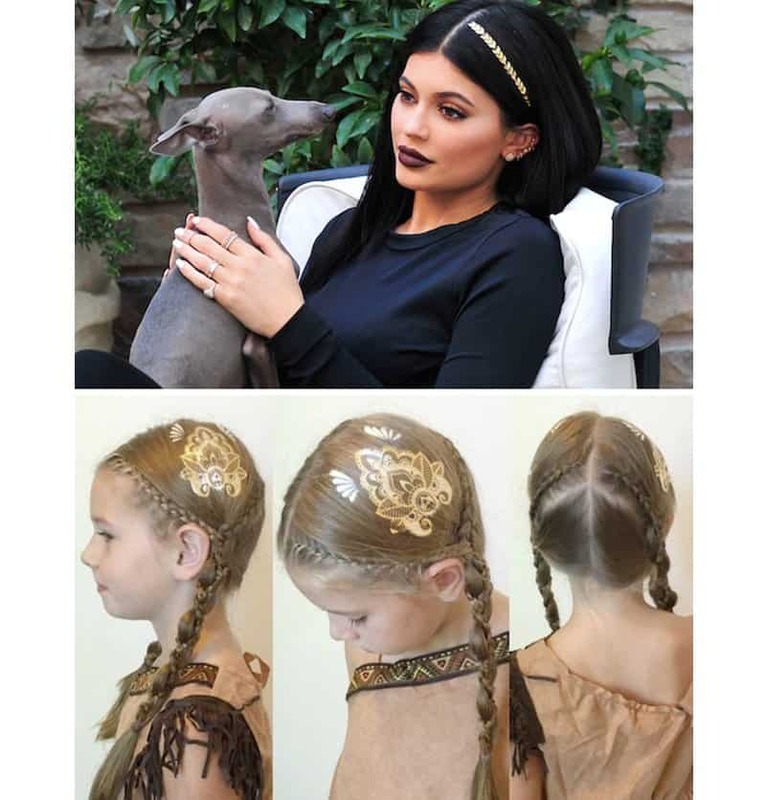 Tons of metallic hair and body tattoos are sold in many stores such as Target, Walmart, Walgreens, etc. It is a good temporary accessory to add to your hairstyle. The man bun has become so viral the trend has now spread to the ladies. 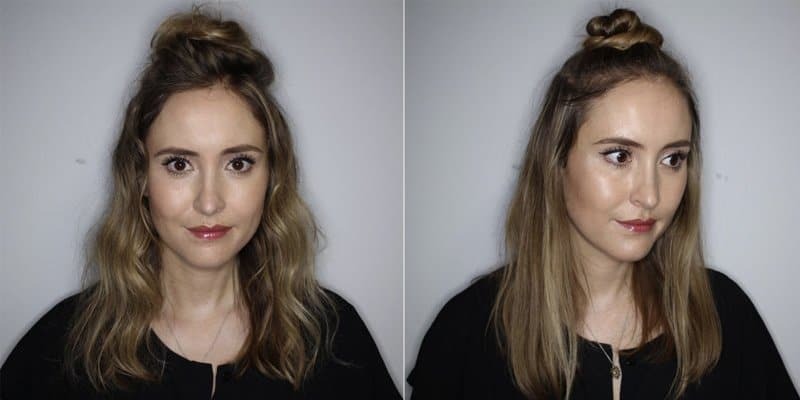 The half bun or ‘hun’ for women is easy to do, just gather half your hair and loop it to a messy bun. It works well for any hairstyle, length and texture. Are your original roots now starting to show and you still don’t have the convenience to recolor them? 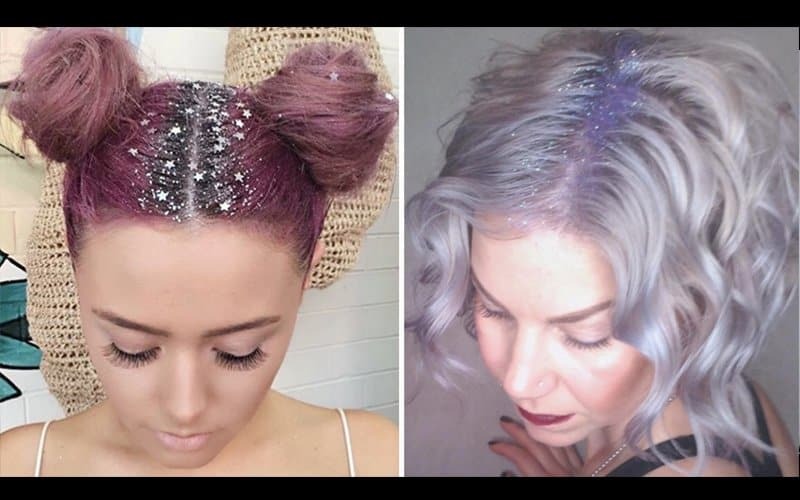 Simple: just add glitter roots. The trend is using glitter and mixing it with styling gel to cover the roots. While it does look sparkly, it can look like dandruff at first glance. Moreover, it will probably require more than a dozen shampoo washes before you take them off completely. 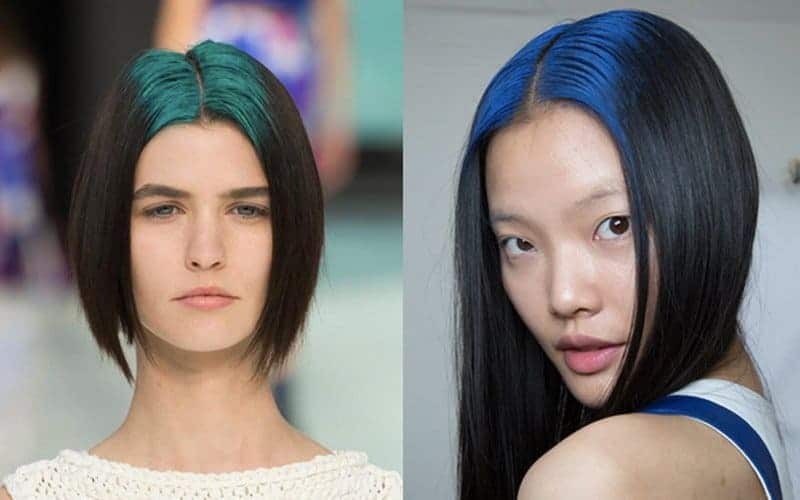 This is probably the tamest hair trend in this list, but still can create stares when you’re bold enough to sport them. Basically, you add as much shine in your hair to create that I-just-stepped-out-of-a-massive-rainfall, or I-forgot-my-umbrella-in-London look. 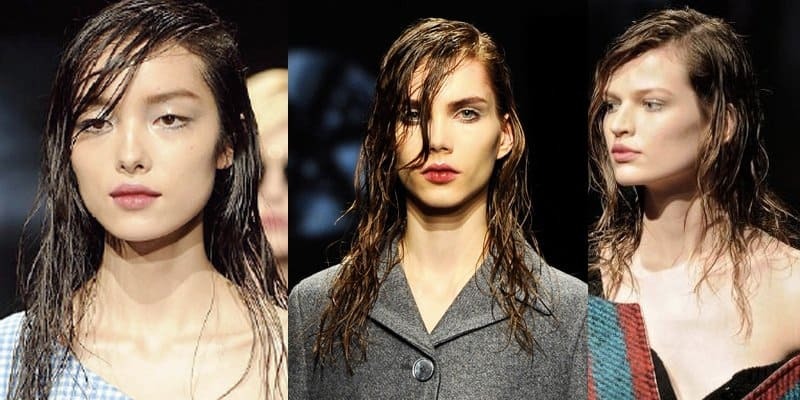 The wet, sleek and shiny look looks gorgeous on the runway, but few people can actually sport it well in the real life. Here we go again about today’s obsession with color. Remember all the colorful sand art you used to do in local kid’s craft shows? You can now emulate those with your own tresses! 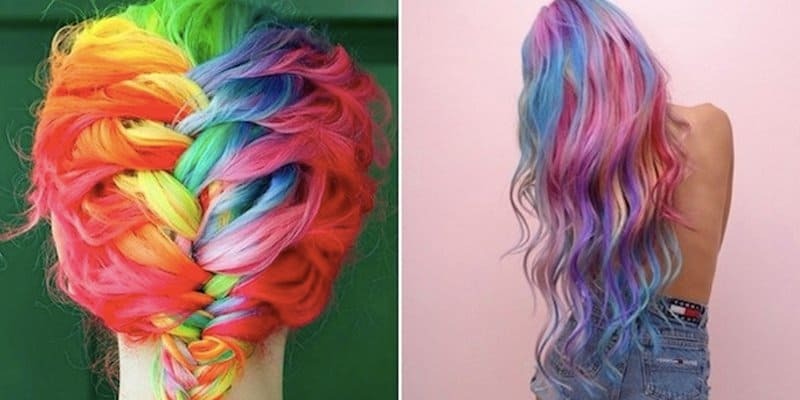 Women are now going all-out crazy and layering hair with different colors, giving that rainbow sand art look. 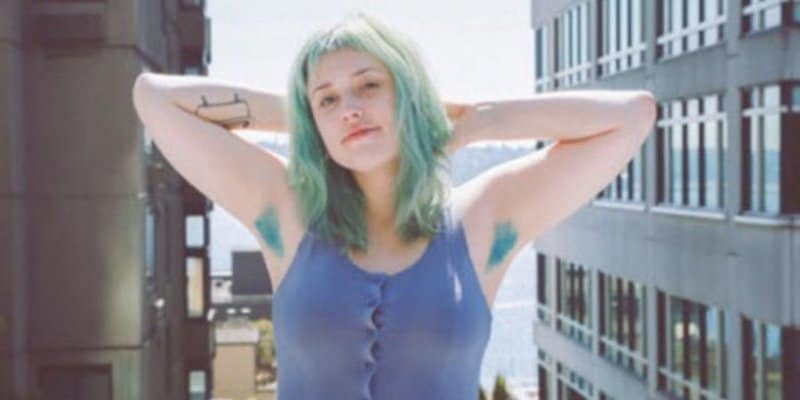 Rainbow armpits were a short-lived trend earlier this year. It simply isn’t a good look on anybody.